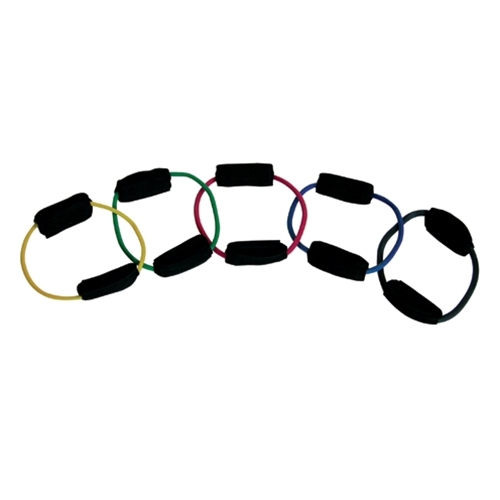 FitBALL Cuff Tubing from HealthyKin.com have extra-wide, adjustable comfort cuffs that give these 15" loop tubes a secure fit for most body types. Primarily designed for lower body resistance training. Use for lateral shuffles, leg extensions and general muscle toning. Five color-coded resistance levels accommodate wide range of users.